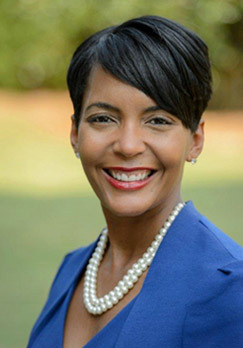 Dec 19, 2017 (Raleigh) — We keep getting updates from the other election held December 5: Atlanta’s mayoral contest where the term limited incumbent Mayor, Kasim Reed, lent what appears to be a see-no-evil election machine to his hand-picked successor, Keisha Lance Bottoms. Our sources are telling us about vast numbers of voters whose addresses come from housing developments that have long been torn down. We’re also hearing of colleges and universities whose mailbox facility is within the city limits, but the campus (and their dormitories) sprawl far beyond the jurisdiction of the mayoral election. In short, hundreds… or even thousands… of votes may have been cast from illegal addresses. Atlanta’s Machine Mayor, Kasim Reed’s approach to electioneering, may lead to a costly do-over election with federal monitors at every Atlanta polling site. That accusation along with lingering questions about the security of Georgia’s election systems after a server hosting voter information was wiped clean have never been fully answered even though lawsuits have been filed. Now we hear talk of voter intimidation and suppression that has entered the 2017 Atlanta Mayoral race where challenger Mary Norwood has refused to concede a race which she narrowly lost to the Keisha Lance Bottoms, the hand picked candidate of term limited Mayor Kasim Reed. 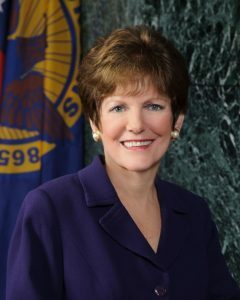 Norwood cancelled all public appearances and has not complained about vote fraud during this year’s election; but a secret recording conveniently leaked out, in which she discuss lessons learned (about vote fraud) from her 2009 mayoral race against Reed, which she lost by 714 votes. Every state has its own fraud-friendly election laws and the Atlanta Mayoral race has taught us to look for vote fraud, but the key ingredient missing in order to overturn that election… is witnesses. That’s why we’re intrigued by a “prominent Georgia citizen” who circulated an email offering a $25,000 bounty for information and tips on how votes were illegally cast in the Atlanta Mayor’s race. Late yesterday, we were forwarded part of an email offering a reward and asking people who “know anything” to send their anonymous tips to atlantatruth@protonmail.com. We at Voter Integrity Project have no way of knowing whether or not the offer is authentic, but would love to see if anybody can school the public on how they harvested a couple of hundred illegal votes in an election won by less than 850…with more than 90,000 votes cast.